On April 19, 2016, creators, thinkers, and leaders came together for a Parley Talks session held in partnership with Parsons School of Design as part of The New School's Earth Week event series. 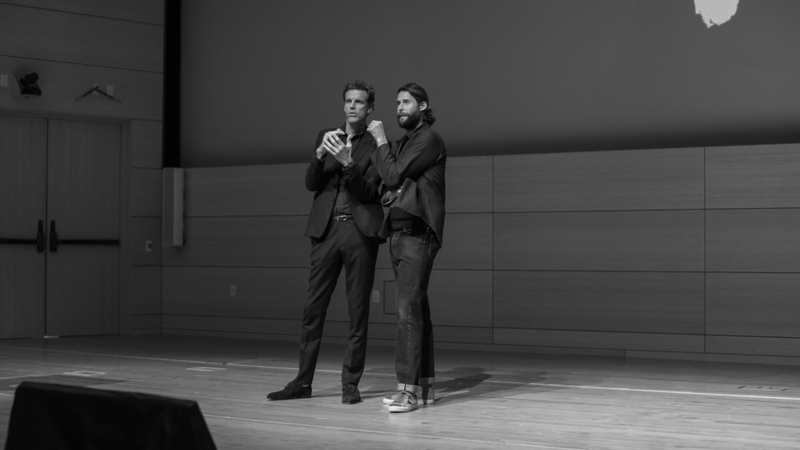 Hosted by Cyrill Gutsch, Parley Founder, and Joel Towers, Executive Dean, Parsons School of Design, the talks presented a range of eco-innovative solutions with the goal of inspiring the future class of creatives to adopt a mindset of curiosity and conservation. The talks explored the increasingly intersecting roles of art, fashion, design, film, science, technology, and activism in reshaping the current reality of our oceans and the future of all life on this blue planet. Speakers included industrial designer Alexander Taylor, student and entrepreneur Miranda Wang, designer and biotechnologist Suzanne Lee, Parsons Dean of Fashion Burak Cakmak, activist Paul Watson, and explorer David de Rothschild, who presented the work of Chris Jordan. David later transported Tishman Auditorium to the heart of the Amazon rainforest. Together with Stephan Crasneanscki, Founder of Soundwalk Collective, he presented JUNGLE-IZED, an immersive audio experience giving nature a voice in Times Square. Each speaker presented a unique approach to solutions, yet a common thread remained clear: we already have the tools, skills, the drive (namely, our own survival) and the imagination to address and even fix the current environmental crisis. Now, as Captain Paul Watson explained in his video message to the audience, we have to find the courage to use them — to harness our passions, skills, and imaginations to find and actually implement solutions. No group is better positioned to carry this message into the world than the creative class. Cyrill is an award-winning designer and brand and product developer. In 1998 he created a method called Cross Intelligence, which brings a culture of collaboration to major organizations. In 2012 he decided to focus on a new client: the oceans. 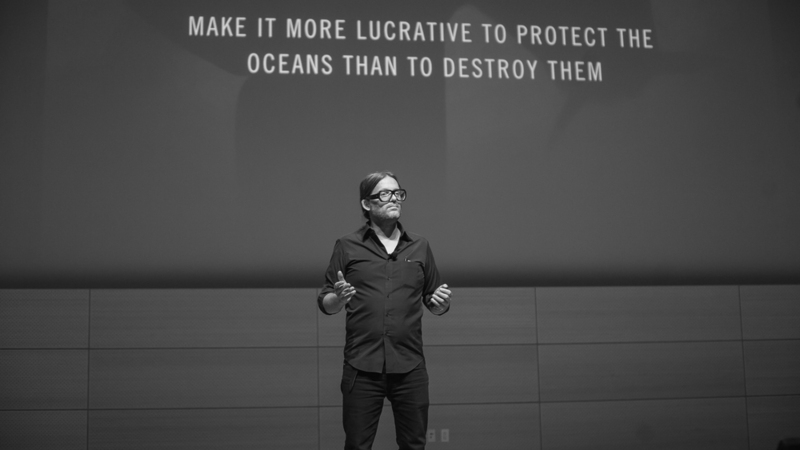 He then founded Parley as a collaboration space for creators, thinkers, and leaders to create awareness for the beauty and fragility of the oceans and to start and manage collaborations that can end their destruction. Burak has extensive experience in forging strong partnerships as a business strategist and sustainability expert for some of the largest, most prestigious retail companies and luxury brands in the world. As Dean of Fashion, he is focused on guiding the academic programs at Parsons School of Design into a new era, where an emphasis on socially conscious and transformational design formulates the educational approach and training of the next generation of creators. David de Rothschild uses innovation and creativity to promote social and environmental change. He founded Sculpt The Future Foundation in 2006, and in 2010 completed his famous Plastiki expedition, sailing a catamaran made from over 12,000 PET plastic bottles from San Francisco, CA, to Sydney, Australia, in order to bring awareness to the threats of climate change and plastic pollution in the oceans. Most recently, he launched The Lost Explorer, a clothing company that aims to reconnect humans to the natural world. Chris Jordan is an acclaimed photographic artist and cultural activist based in Seattle. His work explores contemporary mass culture from a variety of photographic and conceptual perspectives, connecting the viewer viscerally to the enormity and power of humanity’s collective unconscious. Chris’s images have been exhibited around the world. Suzanne Lee is the Chief Creative Officer of Modern Meadow Inc., CEO of BiocoutureTM, and Founder and Curator of Biofabricate.co, a global platform and summit growing community at the intersection of design, biology, and technology for future consumer products. The author and thought leader coined the term ‘biocouture’ in 2004 to describe her pioneering research growing clothing using living organisms. Her TED talk “Grow your own clothes” has been viewed over 1 million times and translated into 38 languages. Alexander Taylor is an industrial designer and innovation consultant behind several of the world’s leading footwear technologies. Committed to creating a more sustainable future, his studio weds recycling with collaboration to redefine industry standards, demonstrating not only how we can redesign the materials and products we use, but also the ways we think, live, and work together on this planet. Joel Towers is Executive Dean of Parsons The New School for Design, a role he has served since 2009. Mr. Towers has led the design and development of cutting-edge programs, curricular innovation, and the implementation of a new, more inclusive governance structure. He also serves as an Associate Professor of Architecture and Sustainable Design. Joel received his Masters in Architecture from Columbia University and his B.S. in Architecture from The University of Michigan, Ann Arbor. He lives with his family in Brooklyn, New York. 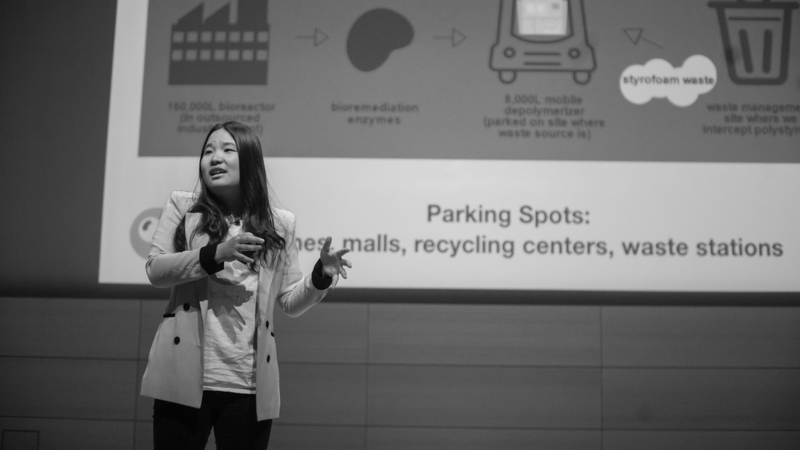 Miranda Wang is a TED speaker and student of biochemistry and entrepreneurship at University of Pennsylvania. What began as a high school science fair project is now the platform technology for her business and research in plastic-eating bacteria. In 2015, Miranda co-founded Biocellection Inc., a company using synthetic biology to tackle plastic pollution one plastic at a time. Captain Paul Watson is co-founder of Greenpeace, founder of Sea Shepherd Conservation Society, and has been an activist for over 40 years. Paul has dedicated his life to protecting the oceans and all species of marine life, from the tiniest plankton to the great whales. His work is recognized and supported by great minds and feared by his opponents: the fish kill industry. Thank you to our hosts, speakers, and guests! Each Parley Talks session is a briefing on the oceans cause and an invitation to join it. Drop us a note here to continue the conversation.